Details You think you know the story. But do you really know the story? This year’s production of The English Drama Workshop takes on the world’s most famous vampire himself. 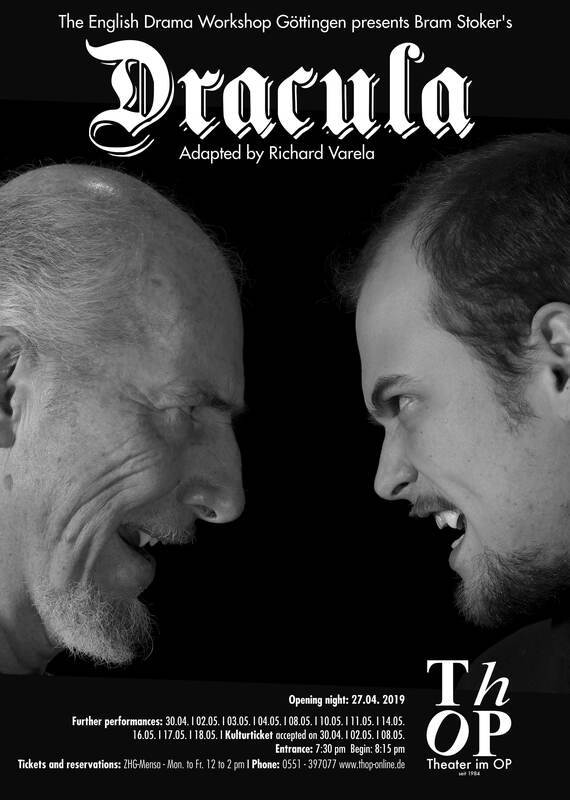 The play has been adapted for the stage and is directed by Richard Varela. It features an original soundtrack and tells the well-known story as closely to the original as possible. Come to the Theater im OP and find out the truth behind the vampire myth. You will be entertained, scared, and fascinated at the same time! See it if you dare!